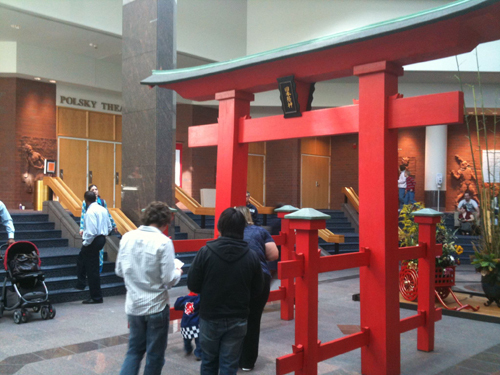 2Oct10 I attended, as is my custom, the Greater Kansas City Japan Festival, hosted by the Heart of America Japan-America Society with Johnson County Community College. They have this awesome torii that they bring out to the event. As I’ve mentioned before, I am a member of the JAS in Kansas City, but my school schedule has kept me from being active since last spring. My school schedule has kept me from being active in a lot of things, such as updating this blog on a regular basis. This was after the demonstration. 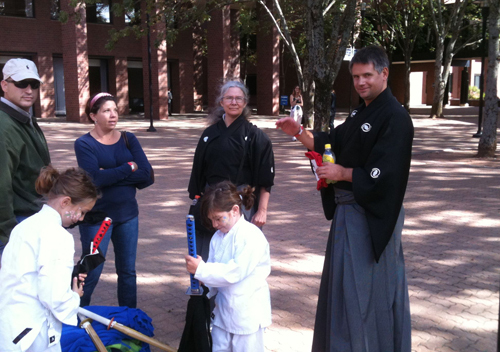 Last year I participated in the iaido demo, so this year I rotated back to kendo. The demo was shorter than normal, which was a relief for my knees, which are not going to magically not need surgery if I don’t get it done, but that’s neither here not there. I mean, really, my damn knee hurts. I was late to the festival so I didn’t get to go to any classes or whatnot like I like to do. The classes and workshops there are really worth it if you’ve never been. And I couldn’t stay, either, so I took some representative shots of my friends before I left. If you’re not interested in the workshops, there is always the food, as my mates here were well aware of. Drakey sensei (pictured above) I get to see more often than Andreson sensei. My kendo gear was in the car when my house was robbed (link), but my poor iaito was abducted, and I’m afraid it has come to a bad end. I normally don’t have time to get out to Kansas City for practice, again because of school, but I still do every now and again. 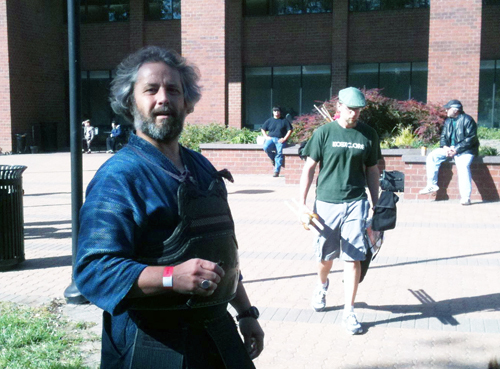 I really do love kendo, and the people I get to do it with. 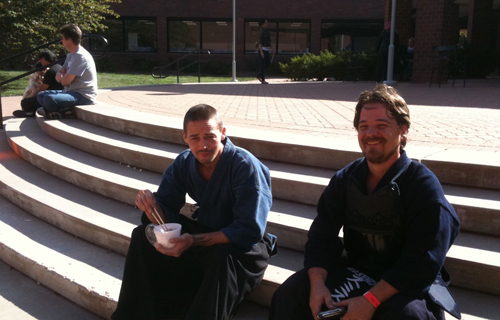 KC Kendo is a great group of people. 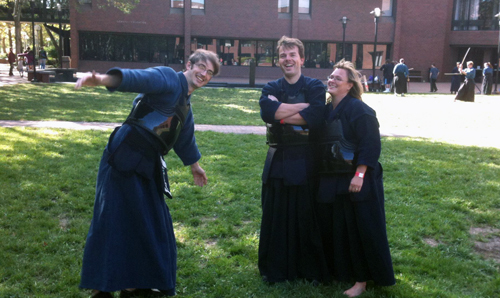 My college club is great too, but KC Kendo will always be “home” in the kendo world. Anyway, the Japan Festival was good, the slice of it I was there, with the only hitch being as I was rushing out to another meeting and finding out I had a flat tire. But forty minutes and a can of flat repair later I was on the move again. Story of my life, right?